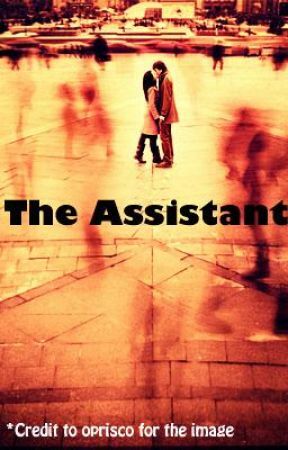 There haven&apos;t been many reads for The Assistant, but there&apos;s at least 20 for each chapter. Enough to keep me going. Even though I&apos;m sure you guys won&apos;t, just please comment or vote. I would really love to hear and know what you think. I really hope you enjoy this chapter and that the story is intriguing enough! Enjoy! I shook my head and laughed. My new secretary was so funny . . . and crazy. I don&apos;t know why Rick would even want her to "repay him" for yesterday. I did feel sorry for her though, carrying that big load of dry-cleaning back and forth. Not that I didn&apos;t find it funny though. I leant back in my black leather swivel chair. I had missed Hayley. The memory of her long deep brown hair intertwined in my fingers made me smile with joy. As I reminisced our past memories I suddenly saw Natalie&apos;s flaming red hair and her sweet smile that went with her bright teeth. I scoffed. 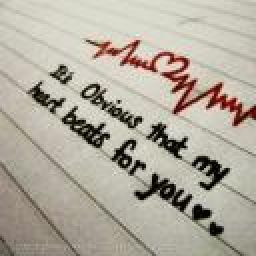 Why am I thinking about her? Then thought of Natalie in high heels, staggering over the steps, holding many, many hangers of clothes encased in clear plastic bags. I shook my head knowing I shouldn&apos;t really but I should. I should help her, it&apos;s the "gentleman" thing to do. I walked out of my office and as soon as I stepped outside the building I heard Natalie&apos;s annoyed and strained voice calling out, or shouting out. As I walked down the stairs the shouting became louder and I heard a rough male voice chuckling. My brow crinkled in worry and in amusement. My slow walk turned into a light jog as I got nearer and nearer to the sound of shouting. "SHE came onto ME," the male voice shouted. The man was tall, regrettably a little taller than me (I wasn&apos;t THAT tall) he wore jeans and a t-shirt, hardly work attire. HIs hair was a little darker than my mousy brown shade and longer than my usual short, spikey cut. His skin tone was tanned and darker than my fair one. This was the city area of New York, he clearly looked out of place here. Then my eyes focused on Nat. Her fair, light face was flushed beetroot red and her forehead was creased in anger. "That doesn&apos;t give YOU permission to be here!" Nat screamed back. Bystanders tried not to look and stare at the ongoing verbal fight. Some people did stand around though. Some groups whispered to each other as they passed by. I didn&apos;t notice that I was frozen on the spot just staring at them in confusion and amusement. I had this crazy hunch that the man she was fighting with was her ex. The one that made her bawl her eyes out when I first saw her and talked to her. I felt my fist clench in anger but I didn&apos;t really know why. "I have EVERY right to be here. You just packed your things and left within the minute! Hell, I even ran out naked after you without realising it. Do you know how embarrassing that was?" Natalie gave a tired laugh. "Yeah, and I had the right to leave! And naked. Explain to me again how you got that way, since you&apos;re implying that nothing happened," she answered back bitterly. "And don&apos;t tell me she undressed you magically or your clothes fell off because last time I checked that didn&apos;t happen." I was, admittedly, pleased with Natalie. I mean, as annoying as she really is she was a strong person and her comebacks were pretty awesome. She put her clenched fist on her hip and cocked her head, staring at the man. If I recall his name was . . . Jack? Natalie gave a tired sigh and relaxed her hostile stance. She put her other hand up to her temple and massaged it a little. "Jack (bingo! Right name), just tell me what you&apos;re doing here. I&apos;m working right now and you&apos;re distubring me and . . . I don&apos;t need this," she said defeatedly.